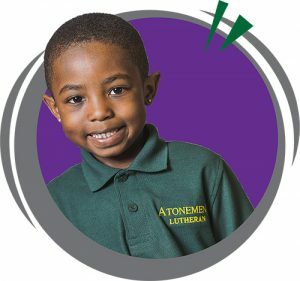 One of the Highest Performing Schools in Milwaukee, Atonement Lutheran ensures students receive an outstanding education from highly qualified and caring teachers. We work to help every child develop his or her God-given gifts to the fullest potential. 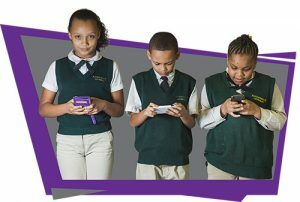 Students grow intellectually and spiritually – ready to tackle any challenge in or outside of school. Helping students increase their faith and appreciate God’s goodness is central to our teaching philosophy. Therefore, the Word of God is taught daily and permeates all subject areas. 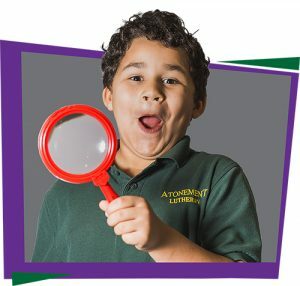 Meeting all requirements of a high-quality elementary education, Atonement ensures that students are well-prepared for high school and beyond. We also value Physical Education, Art, and Music as part of a well-rounded curriculum. We believe and teach that the Bible is the inspired Word of God. Through God’s Word, each child is brought to realize the sinfulness of man, the grace of God through His saving work, and the response of a Christian through sanctified daily living. This is accomplished through a study of Bible history using the “Christ Light” series and through a study of Biblical truths in Catechism classes. Scripture and hymn memorization, daily prayer, and an appreciation for contemporary Christian music are woven throughout. Every Friday, students, staff, and parents have an opportunity to worship together in chapel services to be strengthened in faith and to glorify God together. Students learn to decode words, develop fluency, increase vocabulary, and use comprehension strategies through our reading curriculum. They are exposed to literary genres such as poetry, fiction, nonfiction, drama, and digital media. In our lower grades, an emphasis is placed on guided reading through our “Super Kids” reading program. This provides a base for students to excel at using reading skills in the study of novels in our middle grades. Each student is also encouraged to grow as readers through the Accelerated Reading program. Our English Language Arts curriculum allows students to develop the skills of listening, speaking, spelling, grammar, writing, and handwriting. Through a combination of Saxon Math and Accelerated Math programs, students develop necessary skills that allow them to be problem solvers. Intentional focus on foundational skills, such as identifying shapes and patterns, understanding addition, subtraction, multiplying, dividing, exponents, fractions, data analysis, and probability allow students in our middle school to excel at geometry and algebra. Students study nature and the physical world by testing, experimenting, and measuring to gain knowledge of God’s creation and the order of His design. Students will increase their ability to discern between truth and theory. 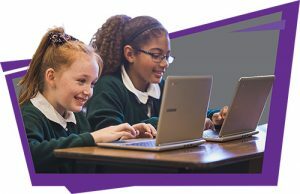 In our middle grades, students are given the opportunity for hands-on activities and group problem solving through the use of Foss Kits. Through our social studies curriculum, students are able to better understand God’s guidance and plan for His children. Students study history, government, geography, citizenship, and other cultures. Students also learn to appreciate their role in society, to identify the importance of cooperation, and to know their rights and responsibilities as effective Christian leaders in the community. Atonement also offers physical education, art, and music as a part of our curriculum in each grade level. We emphasize the importance of fitness and health and teach skills that foster a love for being active. Art classes allow students to identify their God-given talents and work towards improving them. Musical opportunities offered include music classes and participation in school choirs and instrumental lessons. Atonement partners with Catapult Learning to provide Title 1 classes for math and reading where students receive specialized help in these subject matters, in a small class size, and through a certified teacher. Middle school students also have the opportunity to receive daily homework help from their teachers in our after-school homework rooms.